JNTUH MCA Results 2018: JNTUH has released MCA 1st, 2nd, 3rd, 4th, 5th Sem (R17, R15, R13, R09) Regular/Supply Exam Results Jan 2018. JNTUH MCA 1st sem Results, JNTUH MCA 2nd sem Results, JNTUH MCA 3rd sem Results, JNTUH MCA 4th sem Results, JNTUH MCA 5th sem Results. JNTU Hyderabad had conducted MCA I, II, III, IV & V Semesters R17, R15, R13, R09 Regulations Regular-Supplementary Examinations in the month of January 2018. Today JNTUH announced MCA 1st, 2nd, 3rd, 4th & 5th Semester Regular/Supplementary examinations Results 2018. Now, You can check their results below. JNTUH MCA All Semesters Results 2018 are Declared on 31st march 2018. 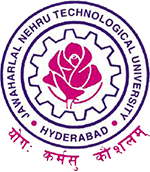 About JNTUH : Jawaharlal Nehru Technological University, Hyderabad is a public university, located in Hyderabad, Telangana, India, and one of the India’s leading educational university focusing on engineering. Please send me r13 regulation 2-2 regular results link.as fast as you can.